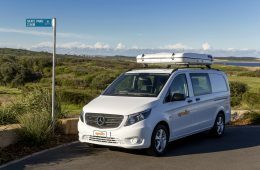 Why hire with Apollo Campers? 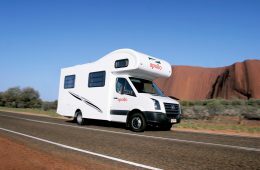 Apollo offer top-of-the-line, modern Campervans, motorhomes & 4WD - manufactured by Winnebago Australia. So you know that you're getting quality. All Campers come with an Unlimited Mileage allowance. Apollo offer an exceptional level of service and support, perhaps the best in Australia. 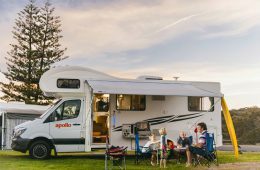 Apollo Campervans and Motorhomes are very popular over Summer in both Australia and New Zealand. This means limited availability & at times, quite steep rental rates. 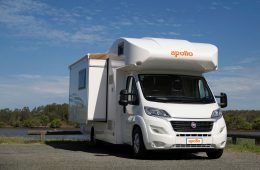 Apollo Motorhome Holidays have been around since 1985. 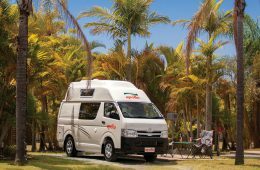 Their fleet of awesome campervans, motorhomes, 4WDs and cars have seen thousands of travellers enjoy excellent roadtrip experiences in Australia and New Zealand. 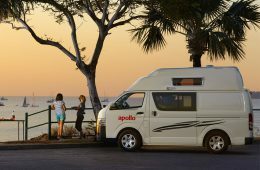 As perhaps the largest campervan and motorhome rental company in Australia, you can rest assured that Apollo know what they're doing when it comes to roadtrips. 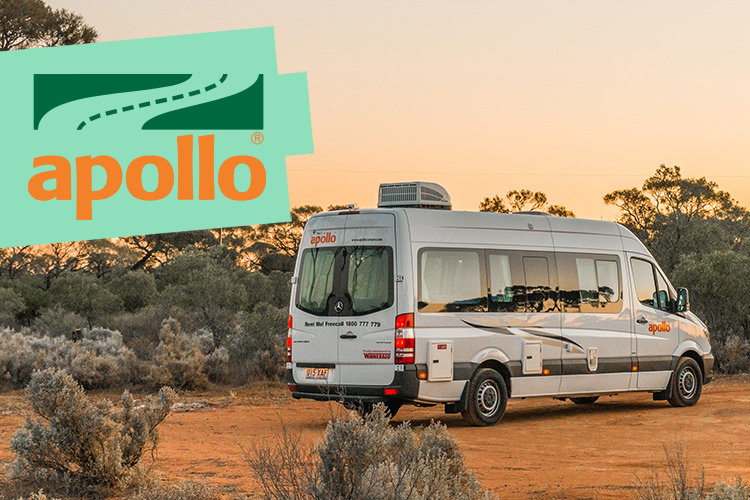 In Australia, Apollo Motorhomes are available in 10 locations - including Sydney, Melbourne, Perth, Broome, Hobart, Cairns, Darwin, Brisbane, Alice Springs and Adelaide. The daily financial struggle is something a lot of us have to contend with. However - every man, woman and pony is entitled to enjoy the campervan life at least once in their life. 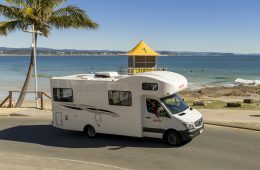 So if you're strapped for cash, but still want a kickass holiday, here's a guide to the cheapest campervan hire prices in Australia over a typical calendar year. ★★★★★ = SELL A KIDNEY! Between 24th December to 7th January is by the far the most expensive time of the year - all across Australia. It's summer, it's Christmas Holidays, it means you will pay a HEAP more for your rental over this period. 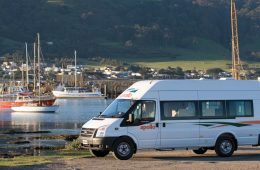 Easter is the next most expensive time of year to hire a campervan. In Australia, Easter is a long, long weekend - both Friday and Monday are public holidays, so most rental places will either be closed or will charge like a wounded bull! Take note of School Holiday periods and University semester breaks, prices often increase during these times with demand. 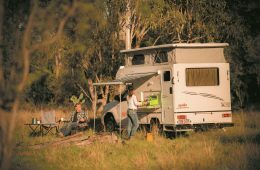 Festivals: There are some major music festivals in Australia that see demand for campervan hire soar. 'Splendour in the Grass' in Byron Bay is one particular festival where 30,000 music-goers migrate in July every year from Sydney, Melbourne and Brisbane. 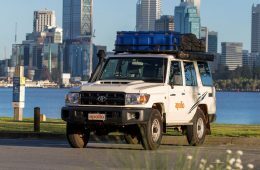 4WD Hire in the top-end Darwin, Cairns, Broome & Alice Springs can get pretty expensive over the dry season (May-October). It's worth considering renting a 4WD on the shoulder of the dry season to save quite significantly on hire costs. From November to April you can forget about heading too far into the outback as temperatures can get as high as 50 degrees Celsius. While the top end usually floods from excessive rain between Dec and March - it's not worth the risk, so best to avoid 4WD hires in Darwin over this time.